Last week, Feel Fiber GmbH filed an application for insolvency. 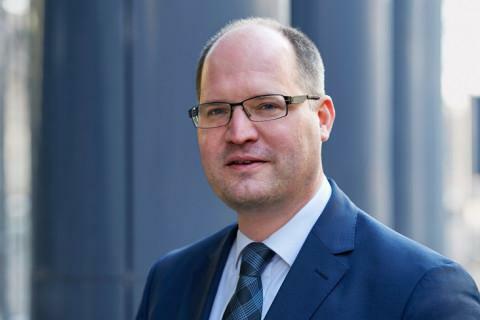 Following this, on 3 April 2019, the Local Court of Neu-Ulm ordered provisional insolvency proceedings and appointed Mr Florian Zistler from PLUTA Rechtsanwalts GmbH as the provisional administrator. The reason for filing for insolvency is liquidity problems. The company based in Senden in the Neu-Ulm district manufactures innovative steel fibres with a workforce of 17 employees, whose salaries are guaranteed for three months thanks to so-called insolvency substitute benefits. “I’m already on site, in the company, together with my team, so as to establish an initial overview of the options available to make the company fit for the future on a sustained basis,” said the restructuring expert. The PLUTA team also includes the banking specialist Mr Dieter Schulz. “The company has developed a new manufacturing process for improving a traditional product. This will allow the product to be used for highly profitable applications in the reinforced concrete sector, such as tunnel construction,” added Zistler. The aim is to find an investor, so the team is going to start the relevant process for this in the next few days. This process will be supported by the consultancy firm Falkensteg GmbH, which previously was successfully involved in well-known projects for such companies as Butlers GmbH & Co. KG. The PLUTA restructuring expert Mr Zistler has many years of experience in restructuring companies affected by a crisis. Most recently, he succeeded in finding an investor for the logistics service provider webopac logistics based in Kaufbeuren, Germany. Feel Fiber GmbH, founded in 2012, produces high-quality steel fibres. Its production method, which was developed in-house and has been protected in more than 70 countries, enables the production of high-performance steel fibres from strip steel. The high precision of this method allows the steel fibre properties to be improved and the area of application to be extended to precast concrete elements, tunnel construction and many other key segments of the construction industry.